On March 14th 2019, Project Child Indonesia held “Sosialisasi & Pemeriksaan Tumbuh Kembang Anak” at Sekolah Sungai Kricak. The event started at 08.30 until 11.30 WIB and 43 mothers with their children came at this event. It is one of our events which planned to be held in Kricak and the community was so enthusiastic to participate in “Sosialisasi & Pemeriksaan Tumbuh Kembang Anak”. During this event, we also collaborate with one of community groups in kricak “Pembinaan Kesejahteraan Keluarga” or known as “PKK”. This event has two agendas, firstly, socialization about stunting and secondly, screening on the children’s health and growth. Both agenda assisted by dr. Alya and dr. Indira, graduated medical students from Gadjah Mada University. In the first session, the facilitators were talked about the extensive definition of stunting, the effect of stunting on children’s life and also the steps to prevent stunting. Based on dr. Alya presentation, stunting has serious impacts on children because of the lack of nutrition supply. It will deter the developments of children cognitively and physically. For instance, cognitive impacts like poor cognition and physical impacts like impaired growth which caused children to be underdeveloped. Thus, Indonesian government’s nowadays has a big mission to reduce the number of stunting to help the children grow well according to the standard growth. In the second session, dr. Alya and dr. Indira in collaboration with PKK leaders held a health screening to the children. This health screening, also include the examination of children’s weight and height. After measurement, the doctor gave personal analysis and consultation to each mother with their children. There are two important points of outcomes from the “Sosialisasi & Pemeriksaan Tumbuh Kembang Anak” event. Firstly, mothers got insights to improve their awareness about children health especially stunting. Secondly, mothers can understand and control their children nutritions supply based on the doctor personal suggestion. Project Child Indonesia held Dance Workshop in Kampung Wisata Code. This event took 5 meetings from 25th January 2019 until 8th March 2019. It is one of our agenda which plan to be held in Code to support the community for developing their potential to become community-based tourism. The dance workshop usually held at 18.30 – 20.00 WIB in each meeting, usually around 5 mothers and 13 children came in this workshop. During this workshop, we collaborate with the head of dance community in Code. The purpose of this dance class is to activate and develop their competency as a dance performer in the community. We invited mothers and children who often perform dance in various shows in their community. This workshop assisted regularly by Jon Charette, Project Child Indonesia intern who were actively join a dance studio back in his hometown New Jersey U.S. The choreography in this workshop are meant to collaborate mothers and children in one song of contemporary dance. In addition, this dance illustrates the synergy and togetherness in diversity. They practiced once a week for both mothers and children. So, they can learn the detail of each parts of their own. During the workshop, they learned step by step and the correct position of their moves. Then, the class will be finished after three or four times of a whole practice. They really enjoyed the lessons given and were not ashamed to ask which part they did not understand. It made Jon as a trainer happy because they gave him a lot of feedback. In the last two weeks, the dance workshop were held simultaneously for mothers and the children and they had the practice together in one session. On the last week, the media team of Project Child Indonesia have recorded their full dance practice as a documentation for the team to have an independent practice. The long awaited outdoor activity for this batch in river school program has finally concluded. Last Sunday, on 9th December the Code river school site went for a field trip in Desa Wisata Pulesari, Turi. The trip was something we had been planned since the beginning of this batch. As a community based NGO, it is one of our mission to bring an alternate form of education for children in order to implement our belief of a learning environment to be more fluid, flexible and fun. We have learned from our past, that formal education has been involving a lot in a facility that does not relate to recreational activities. In addition, field trip study is proved to be a prominent necessity in order to truly establish and adopt the idea of alternative education. Stones and earth are such adequate substitution of both pen and paper, and where being soaked, getting dirty and wet are regarded as a form of education. However, the main purpose of field trip is to give a form of a reward for the children for their outstanding performance, participation, and their immense passion shown through the project activities. There were total of 30 children and 17 volunteer and staff joining the field trip. It was an enthralling and exciting experience as the students learned how to make a traditional snack called Nogosari. The dish which comes from Java, was made from the snake fruits which are the most common plantation in the area. At the beginning, the mothers from Desa Wisata Pulesari explained the steps on how to make the traditional snack, including the main ingredients. The students were attracted to learn something they rarely or even never seen before. Furthermore, they let the students help peeling the snake fruits, making the dough, and even wrap the dough using banana leaves. It was a good experience as students can get involved in the process of cooking and got chances to ask questions. After the cooking class, the children were enthusiastically waiting for the main activity that day, which is to go down to the river and explore the river track. There were few obstacles prepared to entertain the students as they enjoy to cross the hanging bridge, climbing through the nets, and being in the water. As safety become our main concern during the river tracking, our volunteers were always ready to assist the children. In addition, some facts about river, plantation, vegetation, and animals that lives in the river were prepared to give the children some insight about the open river. The children were also asked to differentiate the river in their community with the river they went for tracking. The activity is to make children aware on how river could be a safe environment when it is clean and well-managed. Lastly, the children were very delighted to know they have been granted with a field trip donation to Desa Wisata Pulesari from The Goods for Good. For the generous donation, on behalf of the children and Project Child Indonesia, we express our deepest gratitude for the continuous support and especially for the field trip surprise. An act of help or assistance, big or small, does not matter. The intention to do so, makes the difference. On 3rd November 2018, Project Child Indonesia held Pasar Mandiri at Sekolah Sungai Code. It’s one of our most anticipated event at Sekolah Sungai, and the children of Sekolah Sungai Code were very excited in preparing and taking part in Pasar Mandiri. The original idea of Pasar Mandiri or Sustainable Market, is to allow the riverside community to take part in the process of education for the children at our Sekolah Sungai. In Pasar Mandiri, Project Child Indonesia provides second-hand goods, with great quality and affordable price to sell. The prices range from IDR 1.000 to IDR 10.000. This affordable price range allows the community member of Code to buy all the things that they need. The money that we collected from Pasar Mandiri will directly goes to our educational field-trip for the children. During this event, we also involved the children of Sekolah Sungai Code directly. They helped to sell, bargain and promote the clothes, bags and shoes to the community member. We involved the children on this event, because Project Child Indonesia aims to raise awareness towards the children about working hard to achieve their dreams. We want the children to understand and put their effort for what they want. And through Pasar Mandiri, they learn about this. They learn that for their educational trip, which they also get to participate in deciding the trip that they want, they have to put some effort in making it happen. The event start at 09.00 until 12.00, around 50 people came and participated in Pasar Mandiri. We would like to thank all of our kind donors and volunteers for making this program possible. On 26th October 2018, Project Child Indonesia held an event called “General Medical Check-up for Kids” in one of our River School area, Code. The event was held to help the kids to be aware about their health, and to teach them about basic health. The event was initiated by Australian pediatrician, Dr. Monika Tasoni. During her stay in Yogyakarta Dr. Monika Tasoni contacted Project Child Indonesia, as she wants to do voluntary work and community service to help the children. The event was successfully held at 14.00 until 17.30, just right after the children finished their school. On that day, around 28 children came and take part in the medical checkup. Dr. Monika Tasoni was helped by two undergraduate medical students from Universitas Gadjah Mada. They helped the doctor to communicate with the children. Most of the problems that the doctor encountered in Code is cavities. Fortunately, Dr. Monika Tasoni came prepared with toothbrushes and toothpastes for the children. The children were very excited as they received a brand new toothbrush set. Later on that day, Dr. Monika Tasoni demonstrated and taught the children the proper way of brushing their teeth. She also reminds them to always brush their teeth three times a day. Thanks to the doctor, the children were very enthusiastic and happy to learn the importance of brushing their teeth. The event was also enlivened by the participation of PPSMB Universitas Gadjah Mada. Around 10 first year students of Universitas Gadjah Mada, came and helped out the event by entertaining the children. They also gave generous donation of stationaries for the children. We are happy and grateful for the generous gestures of the people that really cared to help our community. We hope this event could inspire a lot of people to take part in their society. We also hope to see similar event to be held in other river school community! 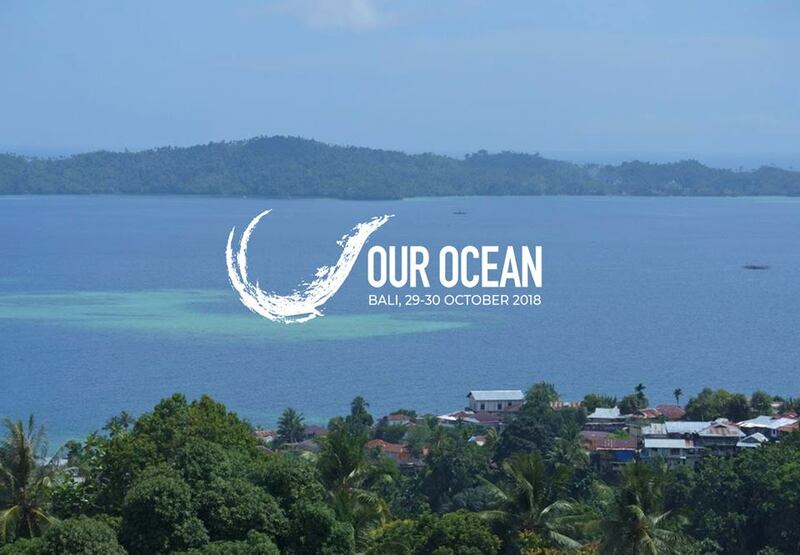 Project Child Indonesia partook in Our Ocean Conference held in Bali on 29 and 30 October 2018. Started in 2014, Our Ocean Conference’s main objective is generating commitments and taking actions to maintain the sustainability of our oceans. Our Ocean Conference 2018 gathered participants from countries around the world to ensure diverse perspectives from various ocean stakeholders, including prominent figures from various sectors who will influence concrete and actionable commitments to preserve the oceans’ health. The oceans hold the promise of our future. However, the oceans are under immense threat as an impact of detrimental human activities. Marine pollution, bleaching coral reefs, raising sea temperature, and unsustainable fishing continues to occur. Illegal activities such as human trafficking in fishing operation, wildlife trafficking, as well as arms and drugs smuggling also risks the ocean indirectly. It is our choice to choose the kind of legacy we leave for future generations, therefore the theme Our Ocean, Our Legacy is chosen to reflect our commitment to preserve our oceans as a heritage presented for our children and grandchildren. The event consisted of plenary meeting, exhibitions, and Our Ocean, Our Legacy Youth Leadership Summit. During the conference, participants are encouraged to announce their commitments as it critically contributes towards global efforts to preserve the oceans’ health. The conference also tracked past commitments and encourage new commitments and partnership that deliver multiple objectives. The 2018 Our Ocean conference focused on 6 areas which are marine protected areas, climate change, sustainable fisheries, marine pollution, sustainable blue economy, and maritime security. Project Child Indonesia as one of the participants in Our Ocean Conference 2018 took part to tackle the issues of marine pollution. Since 2014, Project Child Indonesia has been actively campaigning against single plastic use mainly through Drinking Water Program, as well as other programs such as Sekolah Sungai and Sekolah Pantai. By means of education Project Child contributes in reducing plastic trash threatening our ocean, and introducing environmental awareness to younger generations who will inherit the role of protecting the future of our planet.